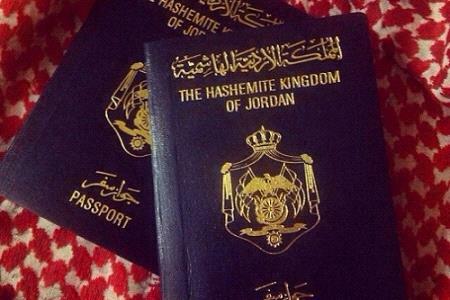 AMMONNEWS - The government will next week begin looking into requests to obtain Jordanian citizenship by investors who have existing projects in the Kingdom under an incentives programme introduced by the government, an official said on Monday. When the government first launched the initiative to grant citizenship to investors in February, it was only limited to investors who start new investments under certain conditions, but in mid-November the Cabinet made some amendments to expand the programme's privileges to already operational projects. "After the government's latest decision, we received 130 requests by investors who have exiting projects to obtain the citizenship. A specialised government committee will start looking into these request next week," Minister of State for Investment Affairs and Jordan Investment Commission (JIC) Chairman Muhannad Shehadeh said on Monday. The committee is headed by Minister of Industry, Trade and Supply Tareq Hammouri and includes members from the Ministry of Interior and the JIC, the minister told The Jordan Times. He added that nine requests by Arab investors to obtain the Jordanian citizenship had already fulfilled the conditions and will be referred to the Cabinet next month. Once approved, the overall number of investors who will receive citizenship will increase to 15. Under the scheme announced in February, investors were offered several options to become eligible for citizenship. They included a zero-interest, five-year $1.5 million deposit at the Central Bank of Jordan (CBJ) or buying Treasury bonds of the same value at an interest rate to be decided by CBJ for no less than ten years. The third option was to buy securities worth $1.5 million from an active investment portfolio or to invest $1 million in small to medium sized enterprises for at least five years to become a Jordanian national. Investors can also make a $2-million investment in any location in the country, or $1.5 million if the project is registered in a governorate other than Amman; provided that the project creates at least 20 new jobs and remains operational for at least three years. To obtain permanent residency, any non-Jordanian can buy property worth at least JD200,000 without selling or disposing of it in any manner for a period of ten years, provided that the Department of Lands and Survey confirms the property’s value. A male investor who obtains any of the two mentioned statuses will have the right to a similar status for his wife; unmarried, widowed or divorced daughters; sons below 18-years-old; and for his parents, if he is their sole supporter. As for investors already residing in Jordan, the amendments stipulated other conditions allowing them to obtain residency and citizenship in the event that they owned shares in projects or venture partnerships with Jordanian investors. To be eligible for citizenship under this criteria, each shareholder in the partnership — based in Amman — must hold no less than $2 million in stakes, while overall providing at least 20 job opportunities as entailed in previous amendments. In other governorates, the minimum stake must not be less than $1.5 million per partner.